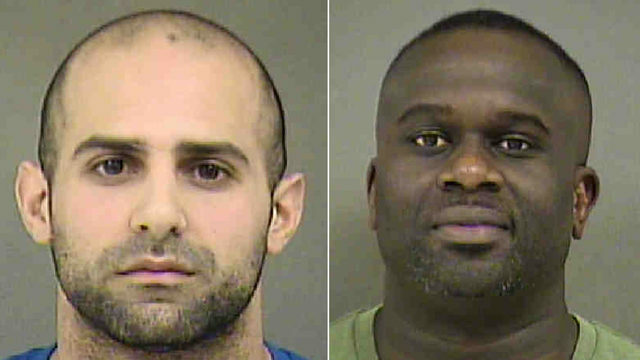 2 men, 1 a Charlotte airport air traffic controller, charged with having weapon of mass destruction. 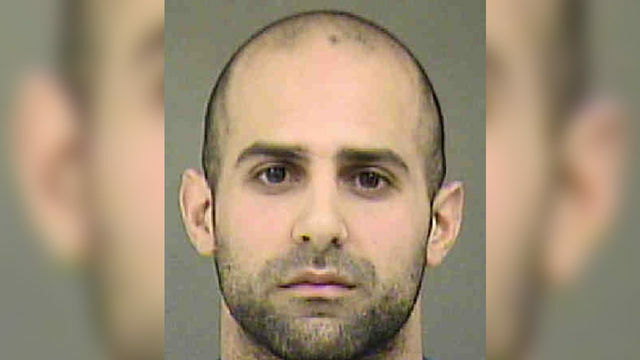 An air traffic controller at Charlotte Douglas International Airport received a homemade pipe bomb from his roommate, police said. The two Charlotte residents were charged with manufacturing and possessing a weapon of mass destruction. Charlotte-Mecklenburg Police Department officers responded to 315 Minitree Lane near Mount Holly Road after someone called 911 about someone who was in possession of a homemade explosive device. Members of the CMPD Bomb Squad also responded and confirmed that it was a homemade pipe bomb. Derrick Fells, 30, constructed the device and admitted that he had made the bomb in order to use it against a neighbor during their ongoing dispute. Fells changed his mind and gave it away to Paul George Dandon, 30, who was a full-time employee. "The FAA has terminated the employee's access to the facility and is cooperating with law enforcement authorities," the administration said in a statement released Friday. Police say Dandan received the pipe bomb from an acquaintance, Derrick Fells, who told police he constructed the bomb in order to use in a dispute with a neighbor. He changed his mind and gave the device to Dandan, police said. "The FAA employee only had access to the offsite Air Traffic Control Tower and had no access to the restricted areas of the terminal or ramp," a spokesperson for Charlotte Douglas International Airport said in a release. "He did not have access to any aircraft at the Airport." Fells, who was Dandan's roommate, has also been charged with four different counts relating to the construction and possession of the bomb. According to North Carolina law, a weapon of mass destruction includes any explosive device, such as a bomb, grenade or rocket.